At Sha Tin Junior School (SJS) we believe it is important to offer children a wide variety of extra-curricular learning experiences as these activities help build a sense of community and contribute to the development of a balanced lifestyle. While information will continue to be sent home about all of the above, we have placed the Staff Led Clubs booklet online. School Excursions (trips and camps) are structured learning experiences provided by, or under the auspices of, the school which are conducted external to the school site. Excursions are a valuable teaching and learning vehicle, often integral to quality curriculum delivery in that they provide access to teaching content and learning experiences not available at the school. School excursions vary in terms of the curriculum focus, the students involved, the duration of the excursion and the excursion venue(s). The student group participating in the excursion may be a class or classes or students drawn from a number of classes. They may be, for example, a team, a performance group or an audience for a performance. An excursion may range from a brief visit of less than one hour to a local point of interest, to an extended journey occupying a number of days. At SJS trips typically run for up to a whole school day and camps for up to five school days. School Incursions are structured learning experiences provided by, or under the auspices of, the school which are conducted on the school site. Incursions are a valuable teaching and learning vehicle as they bring teaching content and learning experiences not available through the regular curriculum to the students. Students accessing an incursion may be, for example, an audience for a performance. At SJS incursions typically occupy a portion of a day but may extend over the course of a whole school day or longer. Camps are a unique and intensive form of excursion available to students in Years 4 to 6. 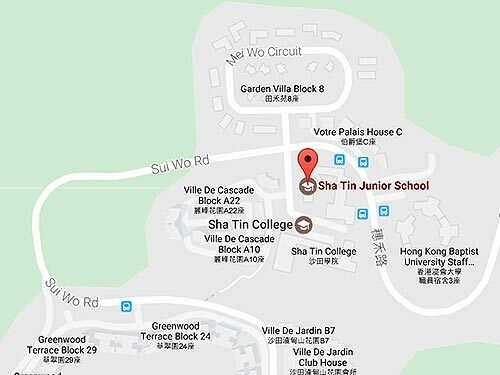 Sha Tin Junior School (SJS) has traditionally offered camps because they present students with opportunities to experience different environments, to respond to personal challenges, to develop self-reliance and independence, and to bond with each other through shared experiences. Provide opportunities for cooperative group activities and promote communication and tolerance between group members. Provide opportunities for the children to respond to personal challenges. Provide all children with enjoyable learning experiences, while expanding their intellectual and social development in environments different to their home and classroom. Promote friendships and strong bonds between students and teachers thus fostering a spirit of common purpose. Create an opportunity for teachers to observe the social interaction and the student’s ability to cope in different situations. This may greatly enhance the teaching relationship between student and teacher in the classroom environment. Act as a focus to extend the children’s knowledge and skill levels. Provide an extension to a unit of inquiry at Years 4, 5 and 6. A wide range of private clubs is available after school at SJS. Please refer to the booklets accessible from school office for their class details and contacts. Programmes: Martial Arts, i-Fencing, Irish Dance, Guitar, Flute, Inline Skating, Artcrafters, Clay, Stormy Chefs, Mandarin, Filmmaker, Chess, etc.